events and outcomes. It is a catalyst and it sparks extraordinary results. Bard is veteran educator, high-tech marketing professional, technology visionary, entrepreneur and nationally known writer and speaker. He is currently Vice President of Training for the luxury real estate company, Alain Pinel Realtors. He's also owner and managing partner of the Silicon Valley Massage Therapy Group. He currently lives and works in California's Silicon Valley. Bard is a keynote speaker and workshop presenter at major technology, education, Real Estate and Internet conferences and the author of several award-winning books including a series of "...For Teachers" books from IDG, the bestselling "Palm Handheld Computers - A Complete Resource for Classroom Teachers" (ISTE), the "Educator’s Podcast Directory" (ISTE), a popular test review book "Hack the MBLEx" and many more works. He is also the author of more than 300 articles. Webinar: ISTE's "Technology in Practice"
Others: technology startups, state and local governments, school districts across the US, entertainment industry tour teams, major technology events, major colleges and universities. Multi-talented marketing executive with a proven track record in building, leading and focusing strategic and partner marketing organizations in the education and consumer technology marketplace. Skilled in strategic business planning, training, professional development, team building, partner development, Web2.0 marketing, program development, and events management. Collegial, motivated, and passionate about technology and marketing. Accomplished keynote speaker and award-winning published author of 14 books and numerous articles. He's also a motivational speaker, and occasional philanthropist. Bard is currently Vice President of Training for Alain Pinel Realtors, a Silicon Valley-based luxury real estate firm. Responsible for training and education at the nation's 6th largest real estate company. Worked closely with major retailers and channel partners guiding the developing and implementing joint marketing strategies and programs. Guided a team responsible for retail presence in all retailers, retail training, product launches, collateral and channel trade show presence. Progressed from highly effective field marketing leader in the education market to managing worldwide consumer/games and programs marketing. Responsibilities included strategic marketing, partnership development, website content and design, and tradeshow management. Multi-talented marketing executive with a proven track record in building, leading and focusing strategic and partner marketing organizations in the education and consumer technology marketplace. Skilled in strategic business planning, team building, partner development, Web2.0 marketing, program development, and events management. Collegial, motivated, and passionate about technology and marketing. Accomplished keynote speaker and award-winning published author of 14 books and numerous articles. He's also a motivational speaker, and occasional philanthropist. Professional development and training for nation's 5th largest real estate company. Provide market leading, technologically advanced training to real estate professionals worldwide. Silicon Valley Massage Therapy Group, LLC. Originator of new concept in health and wellness based on therapeutic massage therapy. Leading provider of on-site corporatemassage in Silicon Valley and the Bay Area. Supported by a group of California Certified and Licensed therapists from around the Bay Area. Managing small and large teams of marketing professionals, providing strategic direction, developing and managing channel marketing programs - especially for high-tech and/or the education marketplace. 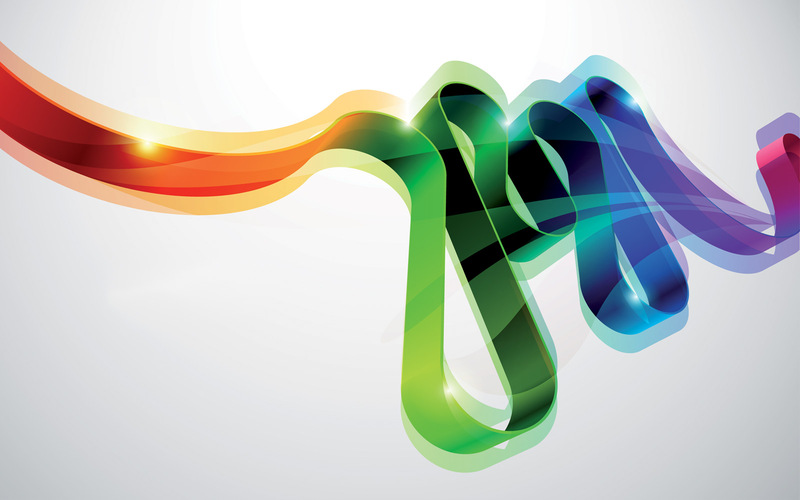 Authoring and managing content for websites, newletters and email/social media programs. Working with companies from 2-30,000 employees. Worked closely with US and International platform partners in developing, managing and marketing their TiVo-based solutions, drove development of the joint marketing strategy and programs, represented the interests of the company's platform partners back into the TiVo marketing organization, developed and then executed the overall platform marketing plan, worked with business development to deliver new platform partners and assesses marketing program effectiveness and works with our partners to conduct analysis. Responsible for retail presence in all retailers. All training and development. Responsible for creating and supporting marketing efforts with our strategic and license partners worldwide. Techthree Marketing and Consulting Services, Inc. Started and grew company specializing in marketing for the technology (hardware, software, training, management) industry, with demonstrated expertise in the education, creative, enterprise and consumer marketplaces. Actively helped more than 70 companies, including Adobe, Palm, Corel, AOL and TiVo, develop and implement marketing plans and programs. Grew company revenue to more than $500K annually within first 2 years. Developed key programs and strategies for the consumer/games and creative markets worldwide resulting in a significant increase in awareness and demand for Apple products. Developed, planned, implemented and evaluated marketing programs surrounding Apple education products and services, strengthened relationships with Apple's strategic partners, led a team who redesigned the company’s education website. Keynoted major education conferences and events. Authored policies and developed and implemented programs encouraging the development of technology in 8 Northeastern states. Keynoted large conferences, explored and facilitated nationwide strategic initiatives; built Internet strategies; developed and implemented marketing and staff development programs; managed grant programs; managed a team of education lobbyists; created and conducted seminars; planned with governors, legislators, and superintendents; gathered input for research and development. Involved in management and decision-making at every level of introducing new technologies into a forward-thinking suburban Atlanta school district that grew to more than 100,000 students and 80 schools. Chosen as growing school district's first instructional technology coordinator. Selected, purchased, and installed computer technology district-wide. Managed professional development and training, grant preparation, curriculum/instructional support, project development. First local school technology coordinator. Coordinated the installation, management, scheduling, maintenance and instruction in instructional computing labs; conducted and coordinated professional development. Sixth, seventh and eighth grade teacher. Content areas included: Science, Mathematics, English, Social Studies, Journalism, Computer Applications and Programming; department chair. Taught undergraduate course in education and curriculum methods and content in Science Education; guest lecturer for mathematics, science, methods and numerous other graduate courses. Provide a variety of technology and educational consulting services. Clients include: TBS/CNN, University of Georgia, Georgia State University, Emory University, Apple Computer, Cobb/Fulton/Dekalb Schools (GA), Okaloosa County Schools (FL), IBM, Glencoe/Houghton-Mifflin Publishing Co. Products: CNN Science Access (VideoLink); CNN Newsroom, CNN News Access, Democracy In America, Captain Planet and the Planeteers. $9.99 USA 178 pages Obtaining licensing and certification are the final steps to a new career in massage therapy. Massage schools today prepare you well, but it may have been a while since you covered the material comprehensively. That’s where this guide can help. 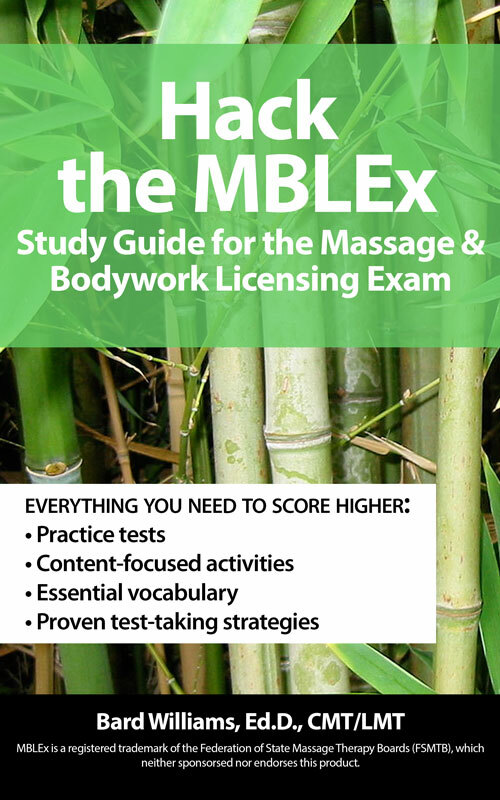 This book offers the information and content necessary to become more confident and increase your score on the Massage and Bodywork Licensing Exam (MBLEx). It contains tests and activities, along with study tips designed specifically for the MBLEx. There’s also a complete explanation about the process to register for the test and what the testing experience is like at most test centers. The author is a writer, educator, and fully licensed and certified massage practitioner who has passed the MBLEx and has a passion for teaching and creating positive change in mind, body and spirit through massage. Available on Amazon.com. Finally—a technology that helps bridge the gap between content delivery and today’s “digital native” students. Podcasting is a method of making audio or video content available regularly via the Web. It blends topical research and knowledge collection with a radio- or TV-style presentation that’s perfect for the attention span and learning style of today’s students. If you peek inside a high schooler's backpack today, odds are growing that somewhere between the cell phone and the calculator, you're likely to find a handheld computer and/or a smartphone. "Intelligent" mobile devices are leaping from briefcases to backpacks in record numbers. This book offers ideas for educators who want to harness the power of these devices in high school classrooms, offices and football fields, as well as tips and techniques for ensuring the educational use of these devices support current standards. We're Getting Wired, We're Going Mobile. What's Next? "Technology planning is tough," states author Bard Williams, Ed.D. "Building a good tech plan can have a huge positive impact on how technology is used in the educational environment. But we must make informed choices." ISTE's new book We're Getting Wired, We're Going Mobile, What's Next? provides K-12 and higher ed decision makers with a measured and inspiring guide for exploring and evaluating new directions in educational technology. With demand for handhelds running high and classroom expertise in short supply, this is your must-have new title from ISTE. The authors are early adopters with many years experience between them, working out how to use, manage, and integrate handhelds into standards-based K-12 curricula. They've distilled this field knowledge into a practical, accessible guide, complete with technology overview of Palm handhelds, lesson plans, assessment resources, and tips and templates for managing student use. Packaged with a CD and a suite of freeware programs. Out of print. $23.99 USA / $30.99 Canada 384 pagesIncludes: one CD-ROM (Mac/Windows) Level: Beginning to Intermediate The World Wide Web is one of the most powerful elements of the Internet. Educators are only now exploring the potential of web browsers and considering the changes to teaching and learning that may result in instant access to worldwide information resources. The World Wide Web for Teachers offers educators an easy-to-read overview of the Web and guides them through using the Web as both a consumer and producer. The book includes all the information necessary for schools to produce their own Web page. Out of print. $24.99 USA / $34.99 Canada 362 pages Includes: one CD-ROM (Mac/Windows, Win '95) Level: Beginning to Intermediate Written for K-12 and college educators who are ready to enrich their curriculum by creating Web pages for themselves, for their schools, or with their students. This book guides you through designing, developing, and publishing a page on the World Wide Web and is packed with tips and techniques for making the most out of producing publications for this exciting new medium. Included are tips for coding in raw HTML and using a web-publishing program such as Claris Home Page. Out of print. $23.99 USA / $30.99 Canada 384 pages Includes: one CD-ROM (Mac/Windows) Level: Beginning to Intermediate Whether you're just beginning to journey into telecommunications or you're a veteran online service user, you'll enjoy AOL For Teachers. Packed with tips, techniques, and lots of classroom-tested online activities, this book will be a constant companion as you explore America Online, the largest online service on the planet. Features new Macintosh, Windows, and Windows '95 versions of AOL and more! Out of print. $19.99 USA / $26.99 Canada 384 pages Includes: one cross-platform CD Level: Beginning to Intermediate Understanding the Internet's role in education is difficult for teachers who don't have the time to experience or explore the Net on their own. The Internet for Teachers fills that void by making the connection between the classroom and the Net. This book provides a concise, content-rich description of the Internet in terms educators and students will enjoy. Out of print.